In a not so surprising move, Japanese video game company Konami has decided to base a new Pachinko machine on their Metal Gear Solid 3: Snake Eater video game. 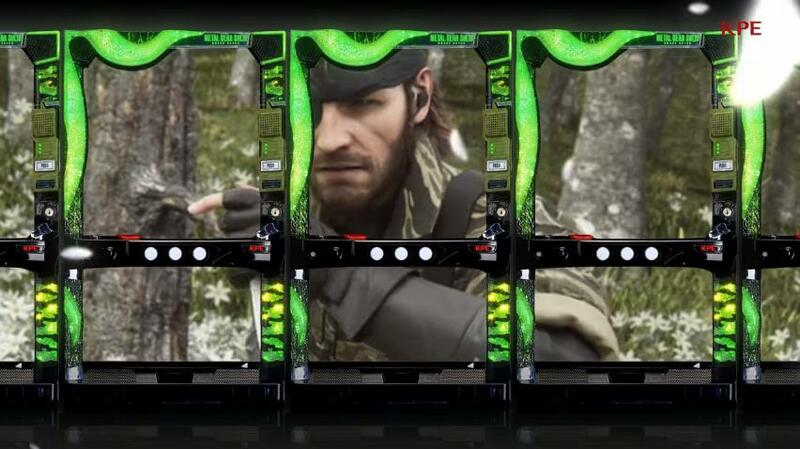 After all, it is clear that Metal Gear Solid is one of the company’s most valuable video game properties, so it was only a matter of time before they featured Metal Gear Solid in one of their Pachinko machines. But what are these Pachinko machines you ask? These are like vertical pinball tables, and players fire balls into the machine with the goal of capturing as many of these balls as possible. The balls can later be exchanged for prizes at Pachinko parlors (which are not gambling dens, as gambling for money is illegal in Japan). Basing a Pachinko machine on Metal Gear Solid 3: Snake Eater does appear to be a good move for Konami (see promotional trailer below), as not only is the Pachinko machine business an important part of the Japanese company’s revenue, but also Snake Eater is one of the best Metal Gear Solid games to be released to date, and no doubt a great video game to base such a machine on. This also comes in the aftermath of Konami’s turbulent break-up with Metal Gear Solid creator Hideo Kojima, after the legendary game designer fell out of favour at Konami and was unceremoniously expelled from the Japanese company, in what was one of the top video game controversies of 2015. This might have to do with Kojima’s last Metal Gear Solid game taking a bit too much time and money to complete, even if it turned out to be pretty great in the end. And given Konami’s new focus on low-budget mobile games instead of big AAA video games, it’s unlikely we’ll be seeing a major, new Metal Gear Solid game anytime soon. Although the 3D graphics in the promotional trailer for their new Pachinko machine certainly look terrific, and we also see some iconic Metal Gear Solid characters like Big Boss, as well as characters from Snake Eater like The Pain, The Fear and The End in this action-packed promotional video. And it is great to know that the Metal Gear Solid franchise is still alive (albeit in a different form) and is part of Konami’s plans, so hopefully we’ll get to see another Metal Gear Solid video game in the not so distant future.